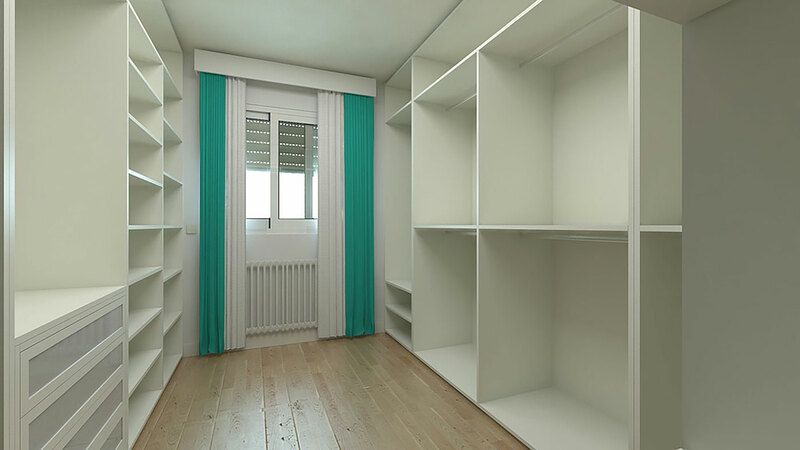 Every home comes in different shapes and sizes, which means that wardrobes also vary in shape and size. Whether you need a standard size or a custom built solution, together we will design the solution that is right for you. Let us help you to design and build your wardrobe and internals based on your specific requirements. Since wardrobe doors frame the rooms in which they are located it is important that you can choose from a broad range of decorative finish options that ensures the perfect solution for you. As part of that MKS offers either sliding or hinged doors. The wardrobe door finishes include mirror, melamine, polyurethane, coloured laminate, timber veneer, solid timber. You can choose from either sliding or hinged doors. If you have limited space then sliding doors allow more room for furniture because they don’t take any space to open. The panel finish is your choice. Walk-in wardrobes provide the luxury of both space and accessibility when it comes to great storage ideas. Together we can design a walk-in that is unique to your requirements accommodating everything from shoes to bags, from shirts to ties to ironing boards – we’ll make it all fit and look great at the same time. The standard internals include white removable shelving. All the shelving is made to measure and can accommodate extra shoe and bag storage. Adjustable shelving is also available. – Fixed shelves, timber shelving, glass shelves, wire baskets, shoe shelves, tie racks, belt racks etc. Storage solutions for every space – MKS Kitchens & Joinery will help you to make the best of your space creating storage that will work well and look good. Simply call or email My Kitchen Star for a free quote.